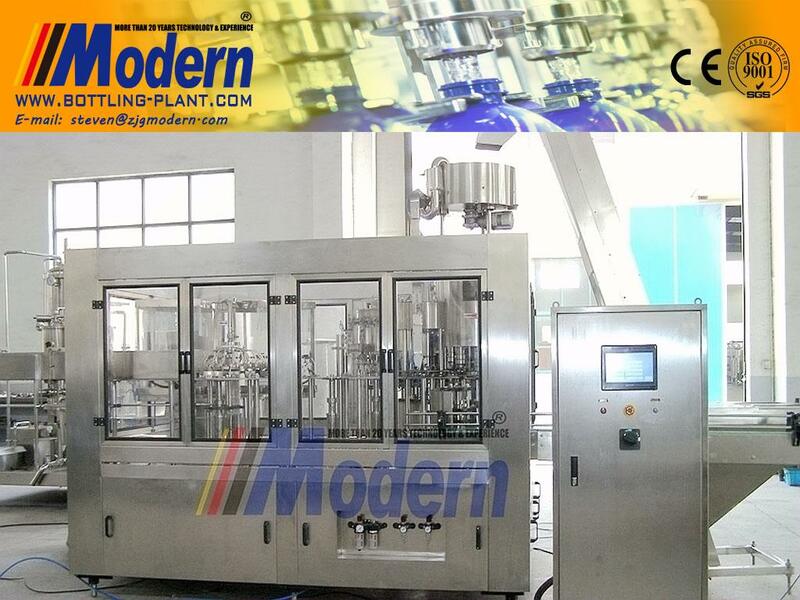 Performance Requirements of Bottle Aseptic Cold Filling Machine - Zhangjiagang Modern Machinery Co., Ltd.
With the vigorous development of PET bottle packaging worldwide, the filling of juices and soft drinks is moving from hot filling to aseptic cold filling. Following the development of the market and consumers' constant pursuit of beverage quality, market share of hot filling will gradually decline and it will be replaced by promising aseptic cold filling. So what are the performance requirements of the beverage aseptic cold filling machine? The empty bottles, caps and sealing methods must be suitable for aseptic filling, and sealed bottles must be able to block microbial penetration during storage and distribution. Meanwhile, PET bottles should have physical properties that prevent chemical changes in the product. The surface of the bottle in contact with the product must be sterilized prior to filling. The effect of sterilization is related to the contamination degree of the bottle surface prior to sterilization. During the filling process, the product shall not be contaminated by external conditions such as any equipment parts or the surrounding environment. Sealing must be carried out in sterilizer area to prevent microbial contamination. The optimal combination of water, steam and disinfectant ensures maximum energy savings. Imported high-quality stainless steel pipes, fittings and sanitary pumps, PALL filters in the United States and so on, these parts constitute the recycling system of disinfectant recovery, filtration and reuse. Sterilization of bottle cap is very important in aseptic filling. It is thoroughly sterilized by soaking method. Through the reasonable setting of temperature, concentration, time and liquid level, the bottle caps can be completely sterilized. Bottle caps are conveyed by net-chain full-sealed lifting and arranged in a directional manner by a capping machine. Sterilization is carried out by means of a combination of soaking and spraying through a spiral sliding way. Then rinse with sterile water, then dry with sterile air, and send it to the cap screwdriver through a fully enclosed conveyor sliding way, which maintains a positive pressure of 100 cleanliness. Using modular design, the sterilizer, bottle puncher, filling machine and capping machine are integrated into a 4 in 1 unit. The upper part of the table is completely sealed by the isolation cover, and the platform structure conforming to the hygienic standard is adopted. Sterile isolation device is the guarantee of sterility in filling environment. The special sealing technology ensures that the isolation device has a 100 levels of cleanliness. External sterilization of filling equipment is to ensure that no external bacteria are brought into the product during filling process. According to the corresponding procedure, an imported external foam cleaning system (COP) based on a foam generator is used to sterilize the filling valve, the capping head, the star wheel assembly, the surface of the device and inner surface of isolation hood at a certain period of time. Cleaning (CIP) and sterilization (SIP) of the internal contact part of filling equipment with materials. The filling equipment is equipped with an independent CIP in-situ cleaning system.